Clarke County is named for Elijah Clarke, who was the victorious commander over the British at the Battle of Kettle Creek in Wilkes County, Georgia. 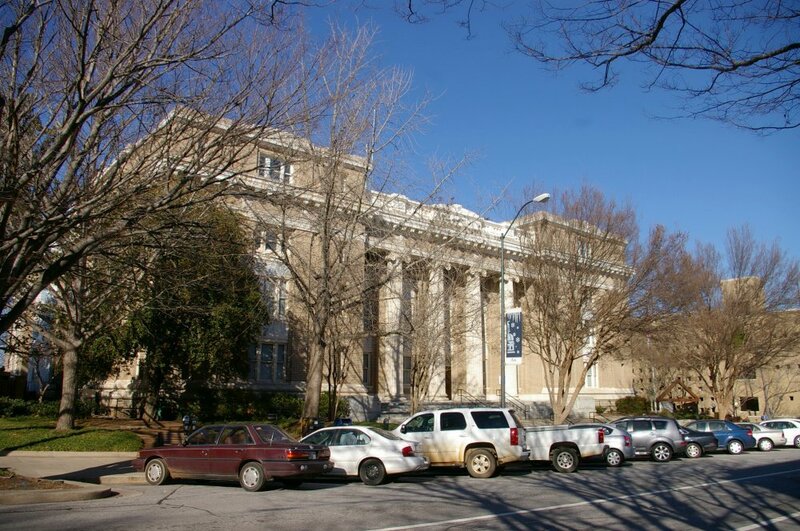 Description: The building faces south and is a five story buff-yellow colored brick and concrete structure. 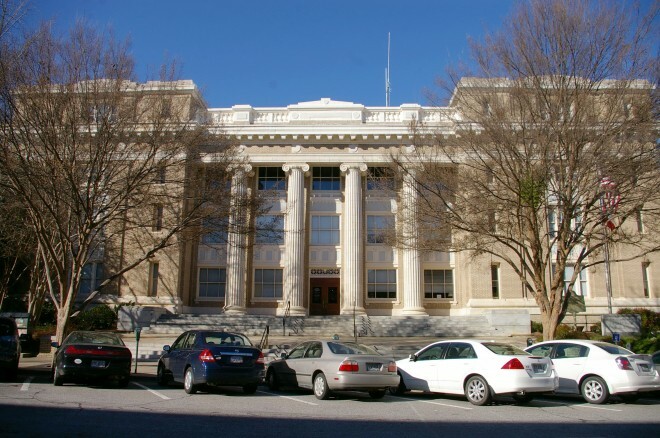 The south front has a large porch at the center with four large columns rising to a header at the roof line. The east and west sections of the building rise higher than the center section. A wide cornice runs below the fourth story. The roof line is flat. 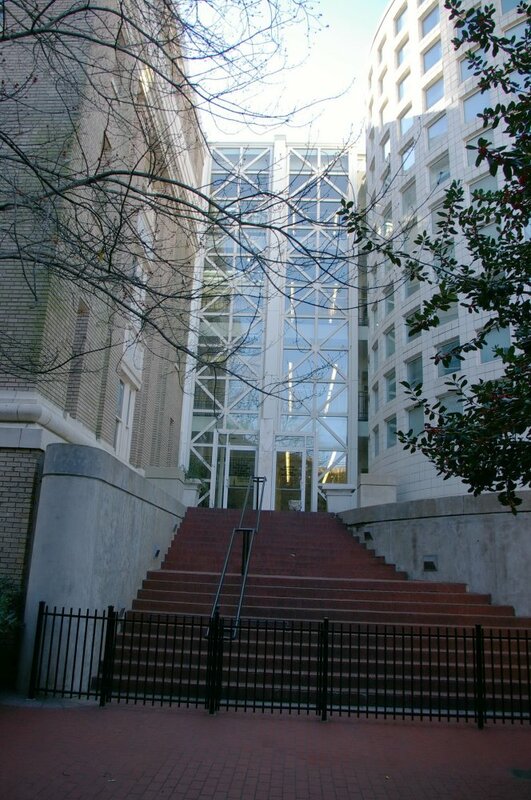 In 1986 to 1989, a five story addition was constructed on the north side and is joined to the courthouse by a glass atrium and abutted by a three-level parking deck. The architect was Jenkins-Peer Architects of Charlotte, North Carolina. 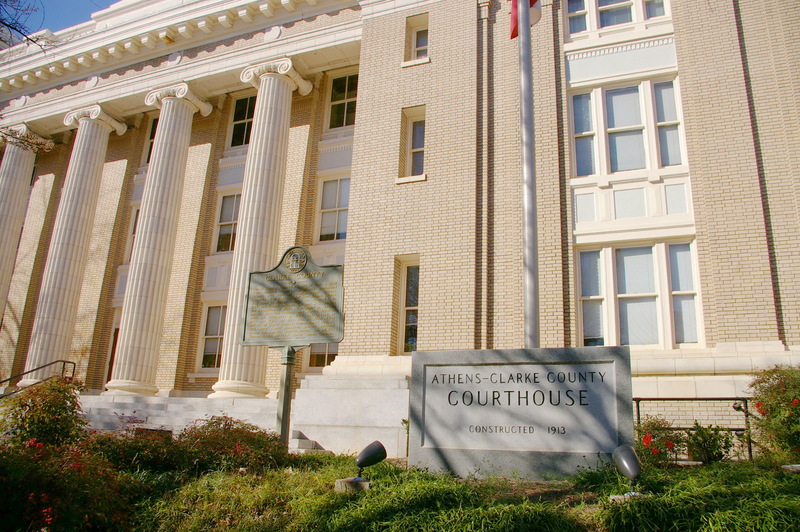 The courthouse was renovated in 1990. 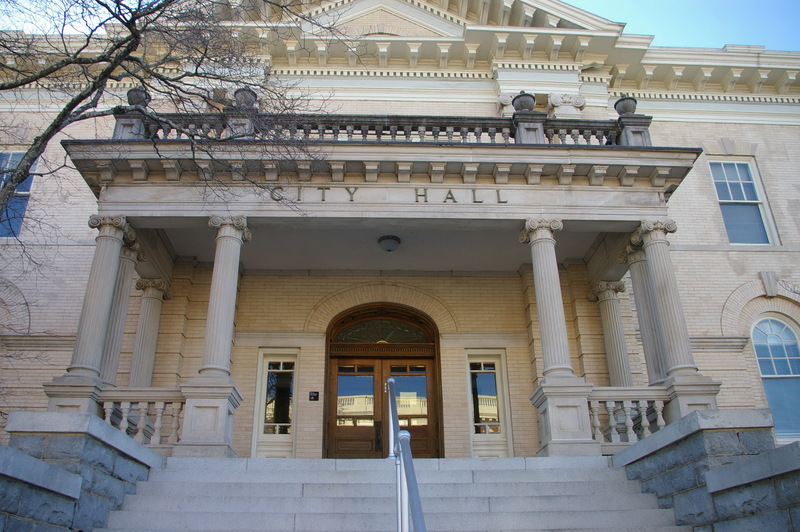 Note: Many local businesses were listed as subcontractors. 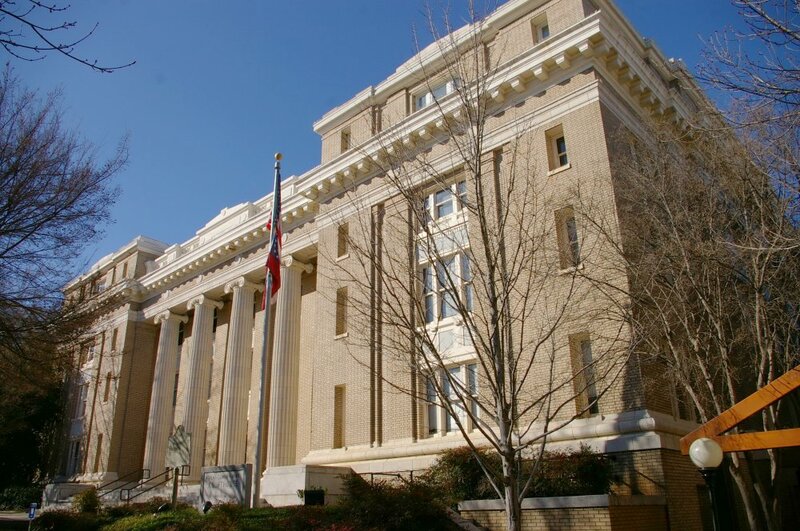 Among them were L M Leathers for sheet metal and roofing; the Dorsey Company for furnishings; Michael Brothers for linoleum and window shades; and Berstein Brothers for vault doors and opera chairs for the courtrooms. County offices were transferred from the Prince Avenue location in horse-drawn wagons and, according to county records, the courthouse was occupied on May 6, 1914. 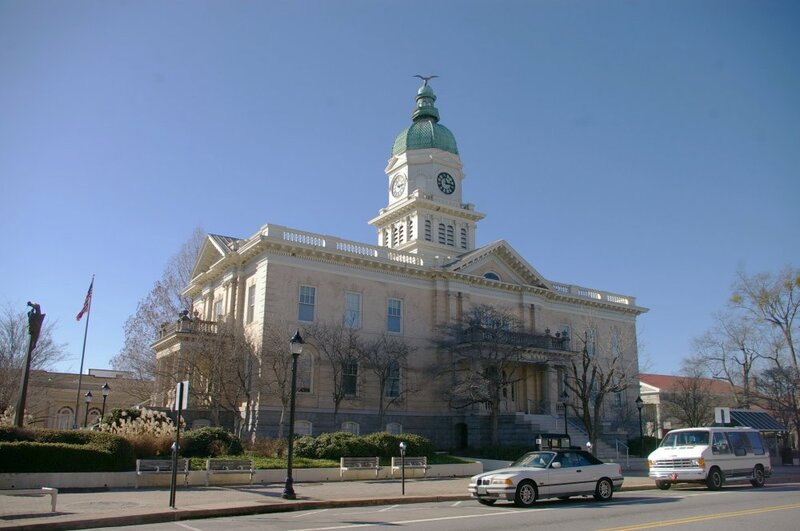 Total cost of construction was $219,000. 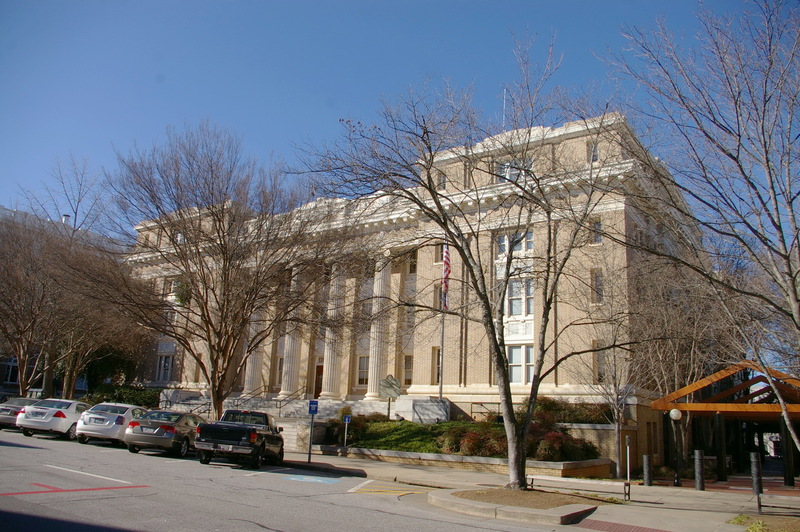 See: Anthony Ten Eyck Brown also designed the courthouse in Florida in Miami-Dade County, in Georgia in Cherokee County and Fulton County and in South Carolina in Union County. 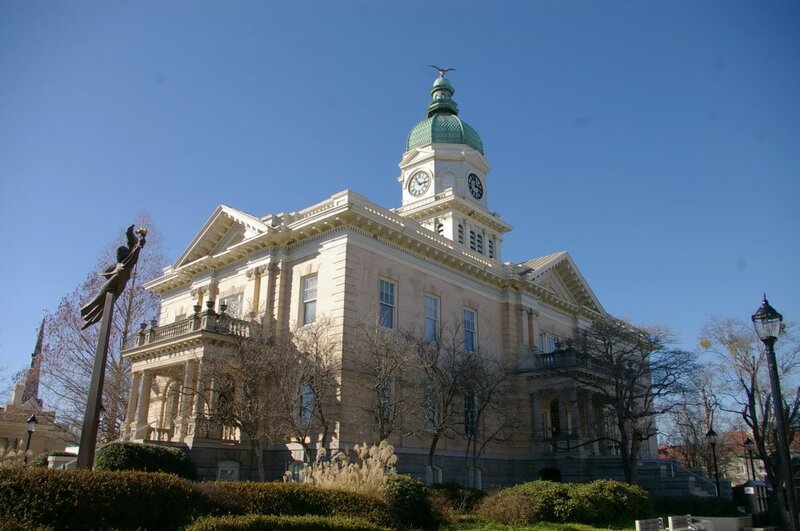 See: Little-Cleckler Construction Company of Anniston, Alabama also constructed courthouses in Alabama in Fayette County, Jackson County and Limestone County; in Georgia in Bleckley County, Lincoln County and Walker County; and in Mississippi in Franklin County, Lawrence County, Walthall County and Webster County. 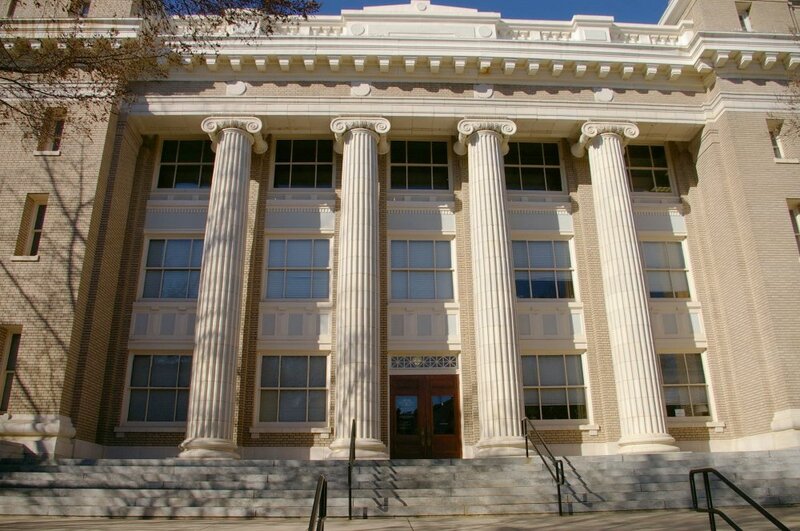 Description: The building faces east and is a two story buff colored brick and limestone structure. 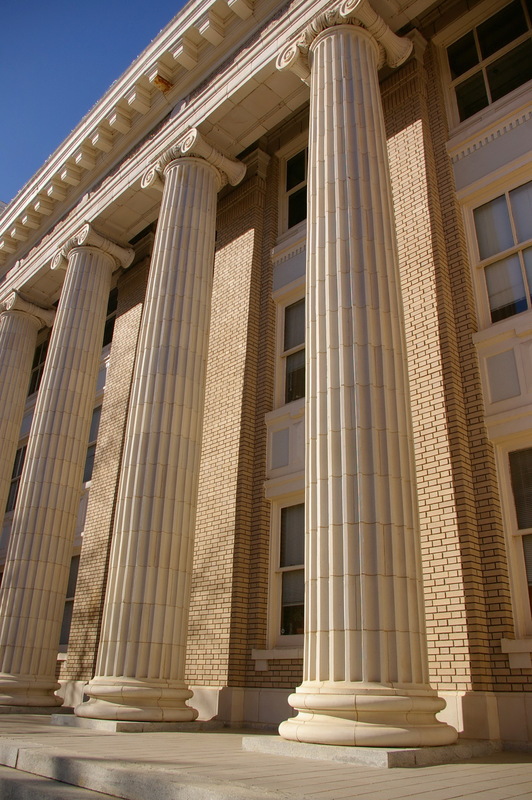 The east front has a one story portico. There are similar porticos on the north and south sides. The rectangular building has Lexington granite on the first story and has oolitic limestone trimmings on the upper floors. 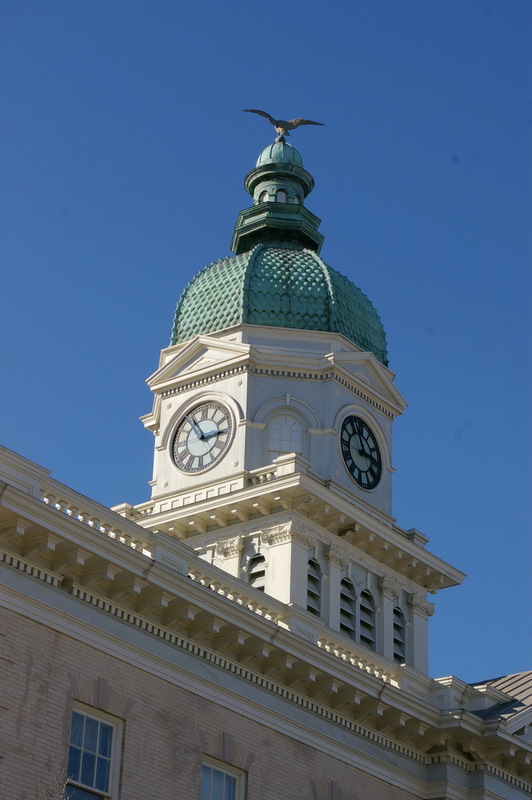 On the center of the roof is a high clock tower with square base and octagonal upper section topped by a green colored roof with lantern and eagle statue at the top. 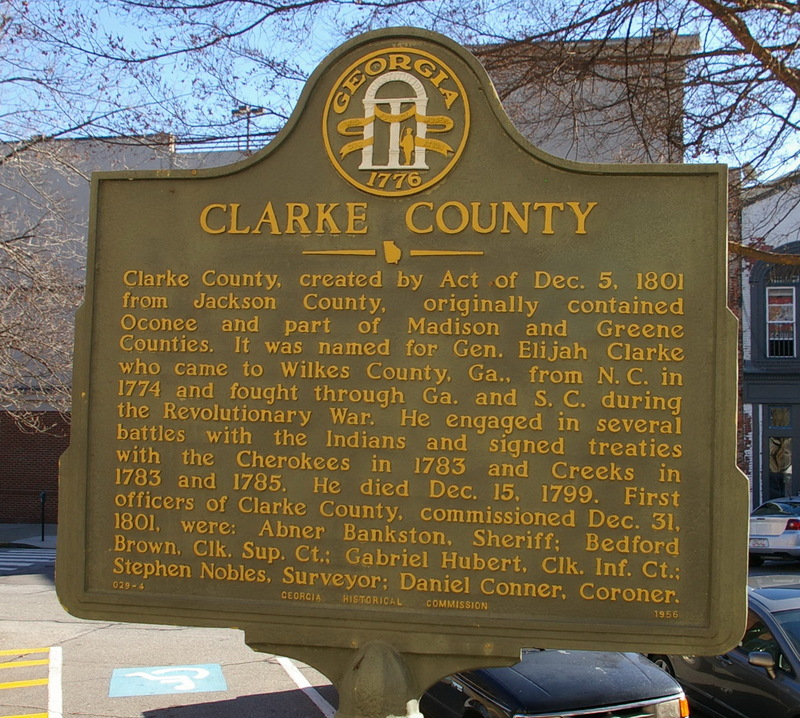 The building was the former Athens City Hall but it now houses the Clarke County-City Unified Government.